Elegance and luxury performance – the versatile GROHE Allure single-lever basin mixer! A cool minimalist look and fabulous cutting edge technology! With a confident faceted design that exudes architectural appeal, the single-lever GROHE Allure basin mixer with medium high spout creates a dramatic style statement in any modern bathroom space. Packed with GROHE’s innovative technology, the tap is a pleasure to use and comes with a fingertip controlled pop-up waste. GROHE EcoJoy limits water flow to 6 l/min – which saves water and money – but delivers peak performance and the GROHE SilkMove ceramic cartridge means the control of water volume and temperature is easy, smooth and precise. The gleaming GROHE StarLight chrome coating is scratch-resistant and needs only a quick wipe to look pristine and new. 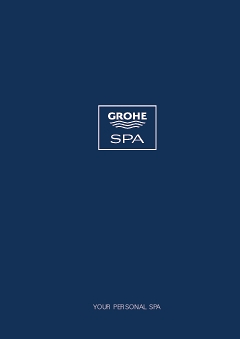 GROHE Allure – where trend setting bathroom style blends with functionality that maximizes the enjoyment of water!